Tom Winter, Ex Commander of Bern Police’s Special Unit and currently head of security at a posh Swiss private bank, has plans for the evening – and hopefully the night - ahead. His plans involve Anne, his deputy and right-hand girl with whom he is falling in love. His plans are quite literally blown apart when the helicopter carrying Anne and one of the bank’s rich, middle eastern clients, Al-Badar, explodes, killing the pilot and both his passengers. This was no accident and Winter sets out to discover exactly who engineered the crash and why. As the story races backwards and forwards between Switzerland, Egypt and the USA, Winter is helped by past and present colleagues from the bank, airport security staff and the police and security services. At first it is thought that Al-Badar was the target, and that extremists wanting to stop the flow of Arabic money to the West were behind the first and subsequent assassinations. Doubts are sown when somebody points out that Winter should have been in the helicopter - he had only changed places with Anne at the last minute. Winter is soon befriended by the beautiful and brilliant Fatima. In her capacity as CEO of a large Egyptian energy company Fatima helps Winter unravel the good guys from the bad guys. Between hair-raising missions, they also console each other in the time honoured way. Damnation travels along at an enormous pace. With its background of financiers and banks all using fair means and foul to get their hands on Arab oil billions for their equity funds, this book reads like a James Bond film and is just as entertaining. 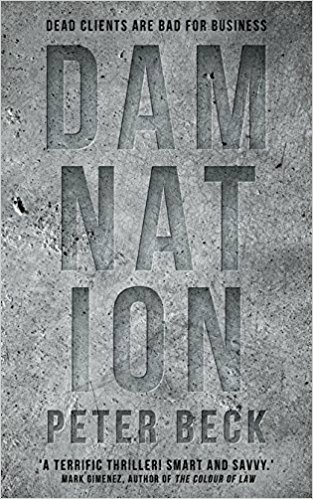 We are told that Damnation is the opener to a series of Tom Winter tales. If the others are as good as this one, we are all in for a treat. Peter Beck studied Psychology, Philosophy and Economics in Bern, where he also gained a doctorate in Psychology. He did his military service as a cyclist in the Swiss Army and has a black belt in judo. Having done an MBA in Manchester, UK, he went on to become an executive board member of a large Swiss company and sat on several non-executive boards. 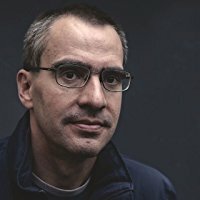 Today he is his own boss and divides his time between writing the Tom Winter thrillers and supporting businesses in shaping their corporate culture. He is a member of the International Thriller Writers and the German-speaking crime writers' association, Syndikat. He is fluent in English. 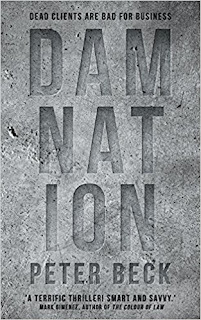 Damnation is his debut in English. The thriller was originally published in German (Emons 2013), now translated by Jamie Bulloch and brought to you by Point Blank (2018), an imprint of Oneworld, twice winner of the Man Booker Prize.